DP dive in at the deep end. 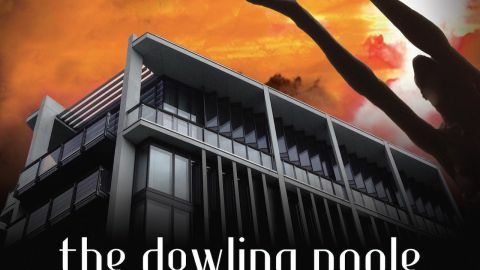 Like the first Dowling Poole album, only more so – if that makes sense – with [One] Hyde Park, Willie Dowling and Jon Poole take all the charming musical idiosyncrasies of Bleak Strategies and refract them into a complex, kaleidoscopic eruption of psychedelic warblings and wilful weirdness. There are honeyed Beatles harmonies, XTC’s off-the-wall angularity and stabs of twisted invention worthy of the Cardiacs. But mostly the feeling you’ll get is of being elevated to a gorgeous pop-rock nirvana, even if, lyrically, we’re swimming in dark waters with the likes of Fight, Fight, Fight, Whatever and Hope And Glory. It’s a curiously satisfying feeling listening to acutely honed barbs and ironic observations draped in plushly played and ostentatiously orchestrated compositions, but then this is no ordinary creative team-up. By rights this ought to catapult the duo firmly into the limelight. A uniquely brilliant creation from a breezily talented pair.